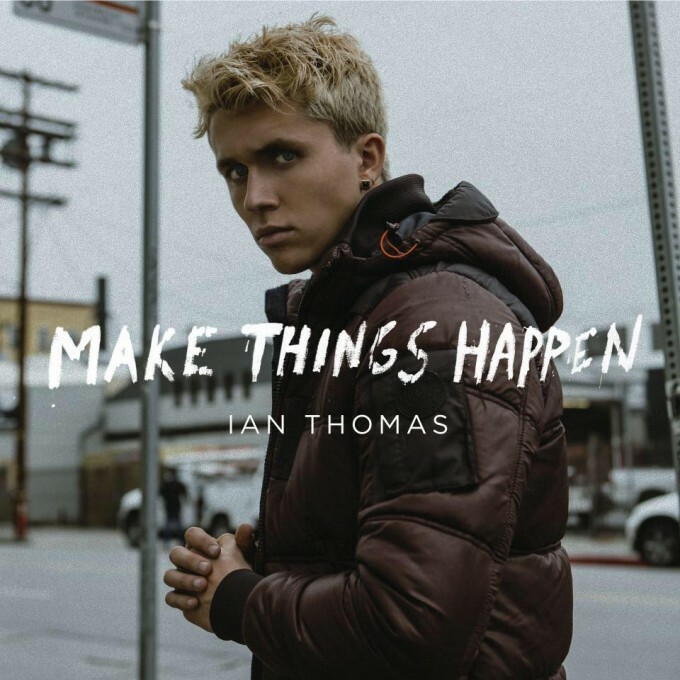 So it seems as though Belgian pop singer Ian Thomas is hell bent on making things happen this month in support of his recently-released album ‘Make Things Happen’. Only last week, the newly-blonde pop star unleashed the video for a song called ‘Too Good To Be True’ (HERE). But he’s decided that one music video for March wasn’t nearly enough, so he’s decided to unveil a second, this time for his latest single ‘Heartbroken’. It opens with some familiar sights of the Los Angeles skyline; Ian cruising its streets in his Camaro convertible, making the most of the city’s concrete expanses for his backdrops as he sings about being left by the girl of his dreams.